Be a favorite kid's cartoon when you're waving at everyone and doing the signature laugh. Spongebob is always a delight to be around. Kids and adults alike can be the funny character that is shown on the favorite television channel. 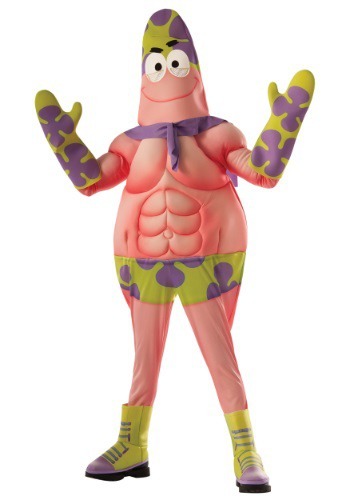 Bring along Patrick Star and Sandy for even more laughs under the sea. With square pants and a whole lot of laughs, Spongebob takes center stage and shows off his moves. Wouldn't you want to be someone everyone knows and loves? 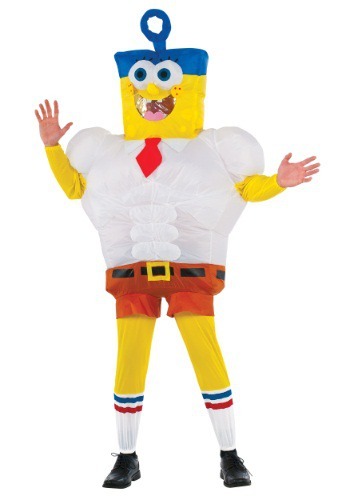 Now you can be when you choose the Spongebob costume made just for you and any occasion you need to dress up for! He's got the moves, he's got the laughs, he's got the ripped underpants and he's got the crabby patty secret formula, so beware of Plankton, who just might sneak up! Who lives in a pineapple under the sea? You do, when you're Spongebob and you bring along the gang!